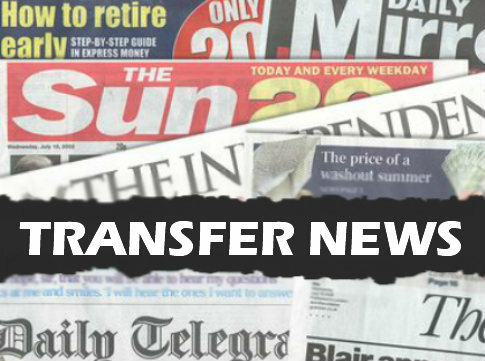 With the summer transfer window set to open, there is plenty of gossip doing the rounds in the newspapers so we’ll keep you up-to-date with the latest transfer rumours. Today, Man Utd have received a boost in their pursuit of Kevin Strootman. Manchester United have been handed a boost in their pursuit of long-term target Kevin Strootman after the midfielder’s agent confirmed he wants a move to the Premier League this summer, according to the Mirror. Despite being a regular in the senior Holland squad, Strootman was selected to represent his nation at this summers European Under-21 Championships in Israel and the 23-year-old has starred at the heart of the Dutch midfield helping them to the semi-final stages. The Mirror claim that Manchester United hold a long-term interest after watching him on several occasions last season while chief scout Jim Lawlor is also understood to have been in the stands to watch the talented midfielder in action against Russia last week. United aren’t the only club believed to be interested though with the report suggesting they would face stiff competition from throughout Europe with teams from France, Russia and Italy all fighting for his signature. However, the champions have received a boost after the players agent, Chiel Dekker, confirmed that his client wants to play in England and he feels he has all the characteristics to be a success in the Premier League. “He is focused on England because that would suit his style. He has the physique, the character and the fitness for it. “I am certainly not afraid he could handle that level.” Dekker is quoted as saying by the Mirror. “From PSV it would have to be a step up to a good club. With Paul Scholes retiring and doubts continuing over the long-term fitness of Darren Fletcher, a central midfielder is likely to be high on new manager David Moyes priority list when he takes over from Sir Alex Ferguson next month. What do United fans make of this; would Strootman be a good signing? Get involved in the comments section below. Moyes plz we strootman n thiago wth either bale or ronaldo n baines 4 leftback plus garay centre defender. I belive utd can win champion league wth dz players.